Precision servo couplings, mechanical torque limiters, flexible shaft couplings, flexible drive couplings, line shafts, and pump and motor mounts are just a few of the many coupling components offered by HTE Automation. Our line of products provides industry-leading power and control, and many offer increased flexibility, customization, and easy set-up. Optimal solutions for speed, torque or positioning control, these components deliver exceptional functionality, accuracy, and reliability. HTE’s experienced TECHTEAM is available to assist if you’re not sure which product is best for your plant’s applications, need help with integration, want initial product training, or support down the road. We offer full-cycle assistance, ensuring you have the top solution to deliver increased savings and efficiency for all applications. 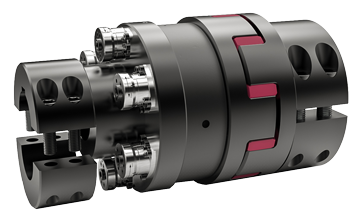 Our class-leading family of drive couplings provide precise control over a long life-cycle for any size job. HTE Automation is your resource for all your coupling technology needs if you are located in Kansas, Missouri or Illinois.